With great pleasure, we present the 2019 Foundation Quarter Horse Registry World Round-Up and celebrate Twenty-Five years promoting “the greatest cowhorse to ever look through a bridle”, the American Quarter Horse. 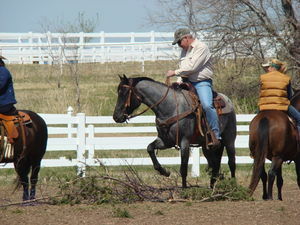 With no-bling authentic ranch work classes, the annual FQHR World Round-Up offers a full three day weekend of horsemanship, sportsmanship, cowboy and family fun, for men, women, and children of all ages. 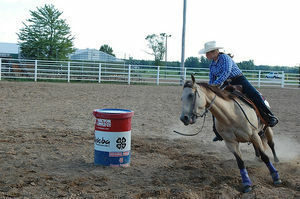 Foundation Quarter Horse Registry promotes Foundation bred Quarter Horses exhibiting in “contest friendly” events and classes that preserve and perpetuate the breed. Membership continues to grow and now exceeds 13,470, and encompasses all fifty states and nine foreign countries with over 28,069 horses currently registered. Jackson County Fair Park in Black River Falls, Wisconsin. Families, individuals, businessmen to cowboys travel from all around the United States and Canada to participate in the World Round-Up, and this year will be no exception. Planning has begun, and in honor of our 25th Anniversary, we will offer a very special WRU Showbill. Our event offers sponsors exposure to a wide base target market and provides excellent recognition opportunity. We take pride in offering sponsorship packages for everyone. The World Round-Up program is a beautiful 5 x 8 full-color booklet. * Please note that some sponsorship opportunities are dictated and restricted by date, by a first come first serve basis, and with limited availability as applicable. In addition to promoting Foundation Bred Quarter Horses, your support will provide continued development of the World Round-Up and our youth. FQHR recognizes the importance of our youth membership and the merit of the next generation. Click here to download a pdf of the sponsor info packet , or click here to see last year's full-color program , with photos and more. I will contact you soon to answer any questions you may have and develop a partnership package for you. Thank you for your time and consideration, I look forward to speaking with you!